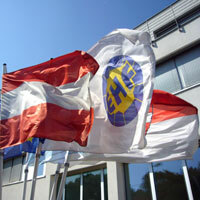 The EHF has been asked for its position concerning the accusations expressed in Der Spiegel. Since the publication in Der Spiegel of articles concerning the President of the IHF, the EHF has been asked for its position concerning the accusations expressed in the German magazine. The EHF first wishes to underline the nature of the articulation between the International Handball Federation and the Continental Handball Federations. The latter are entities that are independent of the IHF. Therefore they should not be considered as branches or subsidiaries of the IHF. This is the reason why they are “guests” and have no voting right at the IHF congresses. Each Continental Federation sends two members to the IHF Council and has the right to nominate one member to each Technical Commission of the IHF.The members of the Executive Committee, the Presidents of the Commissions, and the “other” members of the Commissions (those not directly nominated by their Continental Federation) are elected on a personal basis and totally outside any consultation with their Continental Federations. Nevertheless, the working relationship between the IHF and the Continental Federations is a permanent one and it is in this framework that the EHF has communicated with the IHF on the issue raised by Der Spiegel. - A copy of a letter signed by the President of the IOC Ethics Committee addressed to President Moustafa stating his position on the issue at stake. - A letter to the president of the IHF recommending an audit by an internationally known firm of the financial situation and dealings of the IHF and its leadership. The President of the IHF has immediately expressed his willingness to accept such a procedure in order to stop the current accusations against his position and financial dealings. The EHF members of the IHF Council hope that this audit of the IHF and IHF Marketing can be conducted as rapidly as possible so as to make it possible to supply the IHF Congress scheduled for April 2010 in Rome with complete information. They sincerely hope that the press will then be in position to report the performances of the players and the teams and that the growing support of the media for this fast developing sport will be confirmed and increased.